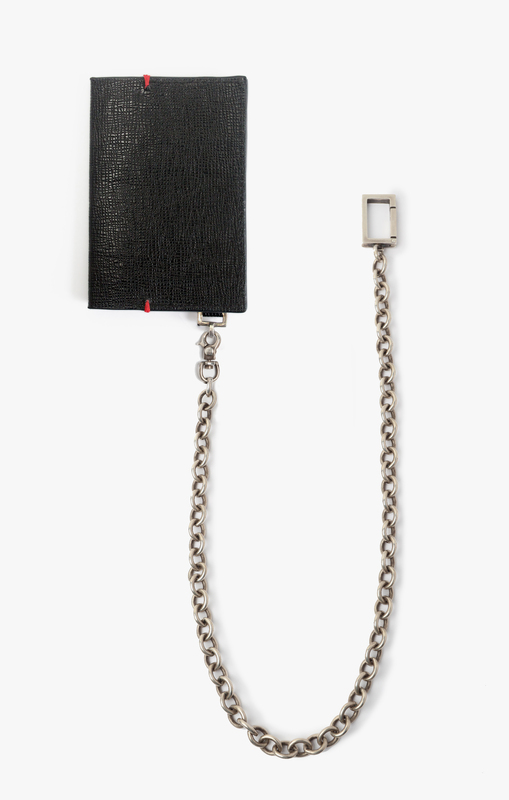 Grain leather fashioned into a folded wallet and finished with a sterling cable chain. This Italian grained cowhide wallet is hand crafted in new york city and finished with a red hand stitch and a sterling cable chain attached to a sterling clip. This wallet is sized perfectly for credit cards and fits comfortably in pockets.